On top of that, we have more PGA Pros than any other retailer and with Free Custom Fitting and Free Pro Advice we have what it takes to help you improve your game. With over 100 stores across the UK and Ireland there's sure to be one near you. Why not call in today? We pride ourselves on our ability to improve your game through the latest and most advanced in-store personal fitting service around. Every player is different and their swing characteristics unique. 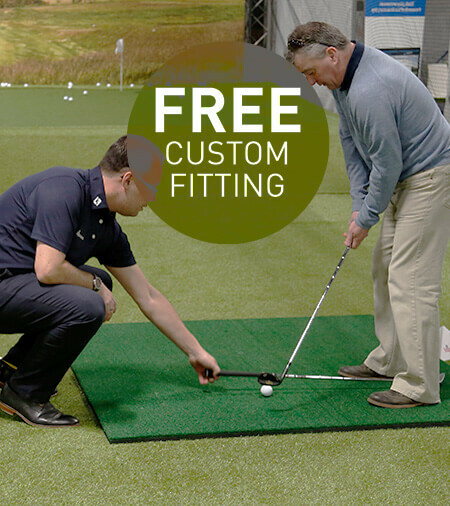 By using our personal fitting service we can improve your game to lower scores and allow you to develop as a golfer. We offer a wide range of state-of-the-art technology make sure every golfer is fitted with their perfect golf club. Once you step into the hitting nets, one of our PGA Pro’s will test your swing speeds, distance trajectory and a plethora of other techniques and then match you with the idea golf club to help enhance your skill set. Our PGA Pros will also use this technology to help improve your overall game, helping to overcome mishits and improve shot accuracy by recording individual hits and working to help you shape your shots and overcome any niggling issues you might have with your game. We employ more PGA Pros than any other retailer in the UK. From advice on equipment to tips on your game, or even a lesson from a PGA Pro, you can get it all at American Golf. 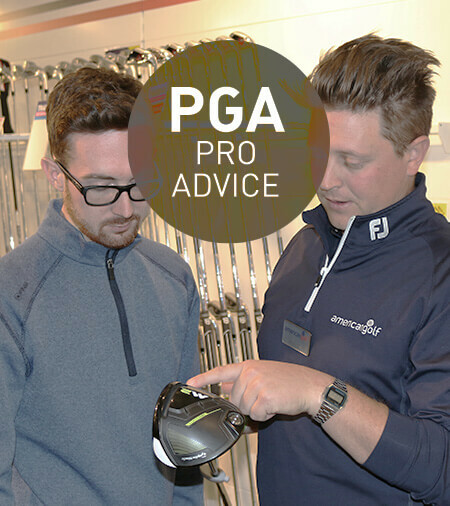 PGA Pros in store will be happy to advise you on any subject matter. Whether it be curing that dreaded slice or offering sound tips for better success on the greens, our PGA Pro is there to offer friendly, professional advice for all standards of golfer. At American Golf, we stock a wide range of premium and great value golf clubs from all the biggest brands. 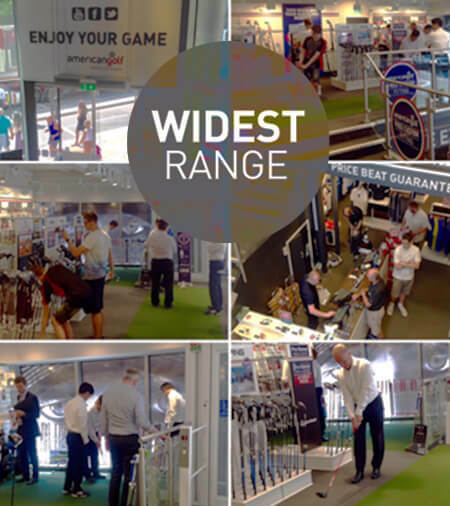 We are sure you will find the right golf club for you, whether it be with the ideal lofts and lies, the correct handicap, or your favourite brand – we’ve got you covered. 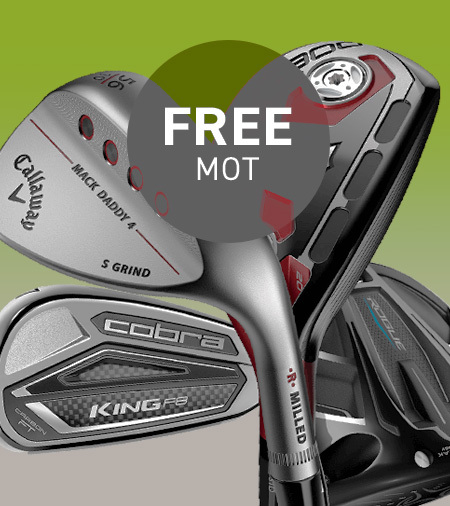 We stock all the latest golf clubs from the most recognisable names in golf, from TaylorMade and Callaway, through to Cobra and Titleist, so there’s something here for every golfer. 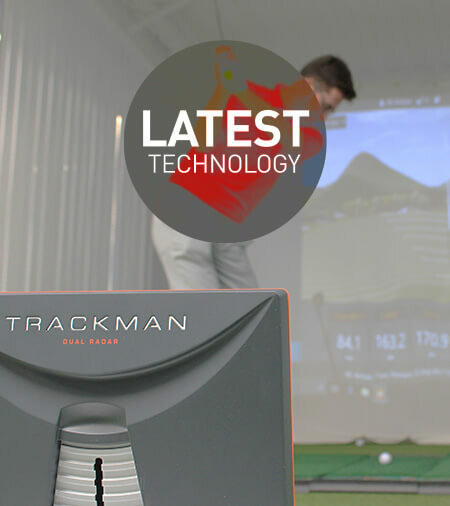 Technology is changing all the time and as Europe's largest golf retailer we have the latest products available instore for you to try. 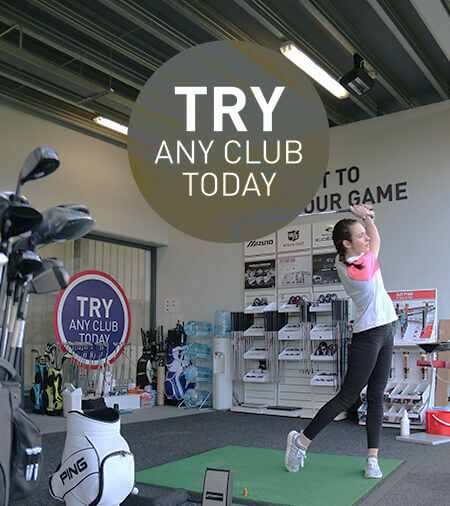 Our golf stores have full-size driving bays all set up and ready for you to try out the latest golf equipment to hit the shelves. By using our driving ranges you are able to get a feel for the club in your hands and an honest assessment of how well you perform with it from an Ag Pro. Sometimes we dont give our kit the TLC it deserves! But we really should to get the most out of our game. Bring your equipment into store and get it checked out with one of our specialists on our launch monitor. You'll be surprised to learn how a simple product fix could mend that wayward drive.